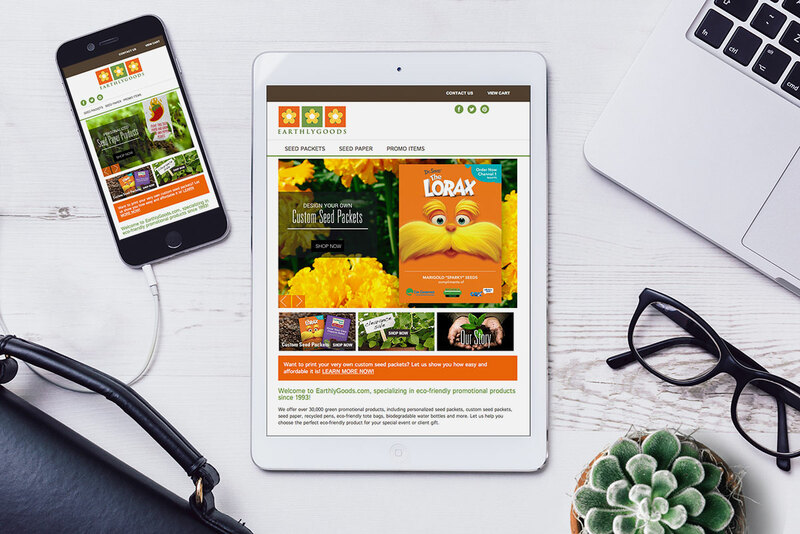 This online retailer specializes in personalized eco-friendly promotional products, such as custom seed packets and seed paper items. They needed a revamped e-commerce site that was responsively built to function well on all platforms. The design captures the clean, fresh and earthy brand of EarthlyGoods.com and keeps the user experience pleasant from home page through checkout. Online marketing efforts through Google AdWords and stellar SEO practices were employed as well, to increase the already steady traffic for this online retailer.